Chams Plc provides enterprise technology solutions for identity management and transaction payments to the public and private sectors in Nigeria. The company builds robust, secure and adaptable platforms to facilitate identity management, identity transactions and verification systems. 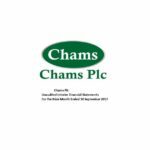 Established in 1985, Chams Plc has executed identification and verification projects for major institutions including INEC, NCC, NHIS, PeNCOM, ICAN, Customs, Nigeria Air Force, NAHCO, Head of Service of the Federation as well as government departments and private education institutions. The company has also handled identity management and transaction payments for the governing bodies of the states of Osun, Anambra, Ogun, Adamawa, Benue and Oyo. Chams Plc handled the execution and deployment of identity management solutions for the Bank Verification Project which was a multi-million dollar initiative of the Central Bank of Nigeria (CBN) and the Banker’s Committee. 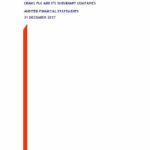 It was the first banking industry biometrics identity matching solution in the global financial markets. Chams Plc is the front end partner to the national Identity Management Commission (NIMC), the agency of the Federal Government of Nigeria (FGN). Other notable accolades include pioneering Nigeria’s first payment card scheme, Valucard; and is the first homegrown company in Nigeria to be listed in the Guinness Book of Records for setting up the mega ChamsCity Digital Mall. 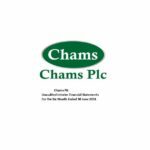 Chams Plc’s head office is in Lagos, Nigeria.